This the Rapid Fire Book Tag introduced to me by Mischenko over at ReadRantRock&Roll. I’ve just started following Mischenko who has a blog full of fun book reviews and author spotlights! So if you’re looking for something new to dive in, definitely check her blog. It was originally made by GirlReading over Youtube, so be sure to stop by and check her out HERE. I was always physical books but when I was living paycheck to paycheck, physical books weren’t feasible so I got into ebooks and now I’m primarily ebooks and I’m not as poor as before so when it’s an author I really like I support them by buying both formats. Hardcover primarily but I have a ton of paperbacks and indie authors primarily publish in trade paperback so I guess I’m a mix. Primarily online shopping because the books that I like aren’t usually found in stores or sold out. However, if we’re talking independent book shops, I’m all over in store book shopping. Buy 2 get 1 free you say?? Both. A lot of authors start out planning to only write a trilogy and then it turns out that their fans love them and wish they would continue into a series. Either way its a win win cause you have more than one book to enjoy your favs. Instead of just one book I’m going to say science fiction books written by women are completely underrated. A lot of people aren’t aware that women who write science fiction is like taboo in the book world. The genre is dominated by men and, sadly, a lot of these authors, in order to get their books out there, end up adding romance into their stories to get them out to the masses. Oh jeez, I scored a handful of books from the thrift store last Thursday. 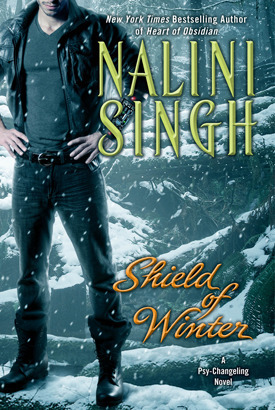 One of them was Shield of Winter by Nalini Singh. It was perfect condition hardcover for 90 cents! Definite yes. I make it my business to go to as many library sales as possible. Plot. Can have the greatest characters in the world but if they don’t have a good plot I’m not interested. It’s all about that world building! Depends on what you consider short. Most books I read are 300 pages or more. But I do read novellas that are tied to a series and those are usually 70 pages or less. When I like being tortured everyday (coughcimmeriancough), I like short chapters. But it doesn’t matter to me if the story has substance. The chapters will blend because I’ll be so absorbed and won’t care about anything else besides finishing the book. Both. I’m a bundle of emotions and I get really attached to my fictional characters! Fictional. 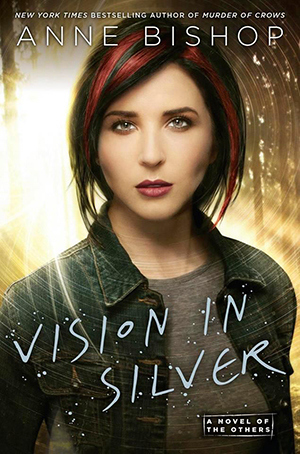 The real world is in chaos right now and I’d rather be in fictional world with an HEA ending. No. I’m weird about the way characters sound in my head versus how other people narrate them. I can’t do it. I tried and got upset, lol. Guilty. I blame Goodreads for that though! You get into a book spiral because of their recommendations reel and end up clicking all kinds of books that look interesting based off their cover to find out more! Outlander. I read the first two books and lost interest but the TV show melts me into a puddle of warm fuzzies when I’m not crying my eyes out. They casted Claire and Jamie to perfection! I have to say both. 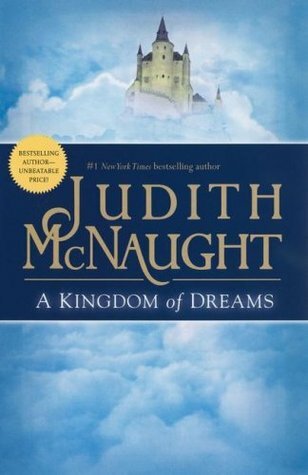 I read a lot of series but a lot of the authors like Judith McNaught write series where each book could be a standalone so you don’t have to read the books in order to still enjoy them. 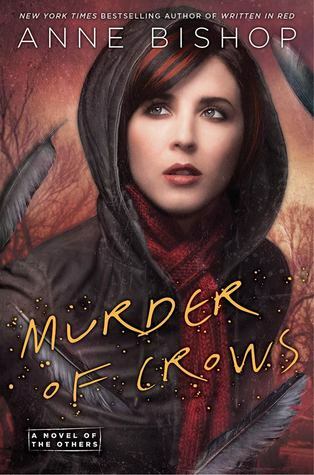 But I love contemporary suspense stories (looking at you Sandra Brown) and those are crazy, fantastic standalones. 😀 We’ll probably have twinsies answers eh?? YES! I cried too when Constance died! I wasn’t prepared for that. And I watch Game of Thrones religiously so I’m totally down with that plan! How lovely! Excellent answers. 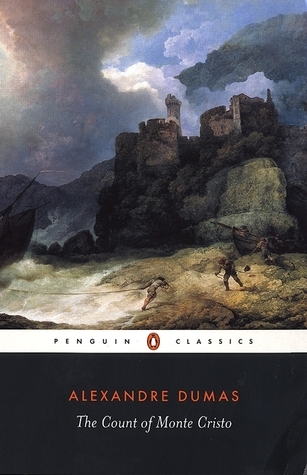 I love The Count of Monte Cristo too. So glad you did the tag! ❤ Sorry if I have two comments. Anti heroes is the perfect answer!!! 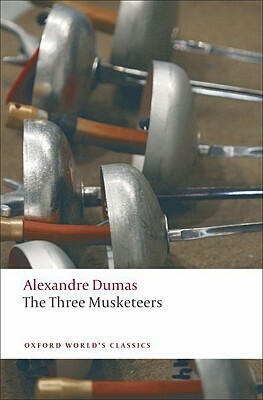 And yes to Count of Monte Cristo- I love that book!! !